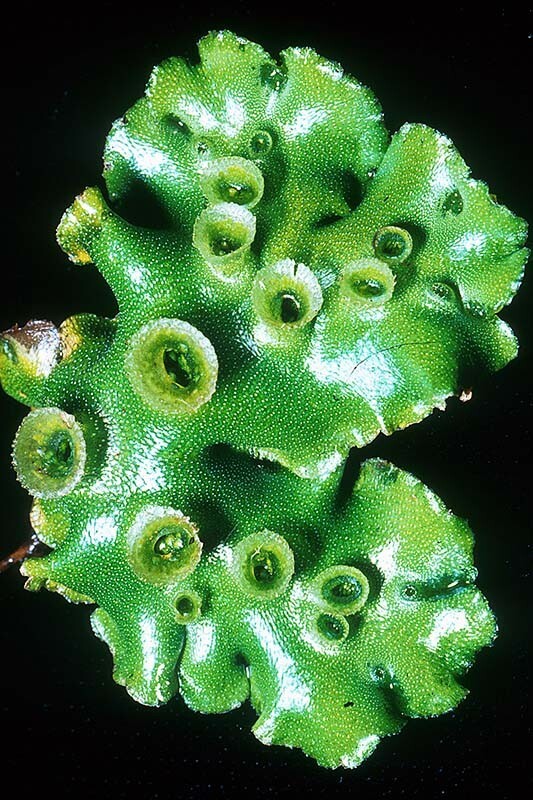 About 17% of New Zealand liverworts have a plant body called a thallus that is not differentiated into leaves and stems. 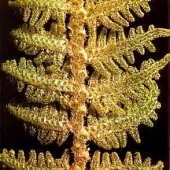 The thallus is attached to the substrate by filaments of cells (rhizoids). Many reproduce asexually by forming cavities (gemmae-cups) that form tiny plantlets (gemmae). These are released by the force of falling rain and grow into new plants. Lunularia cruciata - The thallose is many cells thick and divides repeatedly forming pairs of thalli that grow over the surface of moist soil and rocks attaining lengths of 4-7 cm. The epidermis has numerous air pores (white) that lead into cavities below. Crescent-shaped gemmae cups are formed along the thicker, central regions of the thallus. A species found in moist habitats throughout the world. 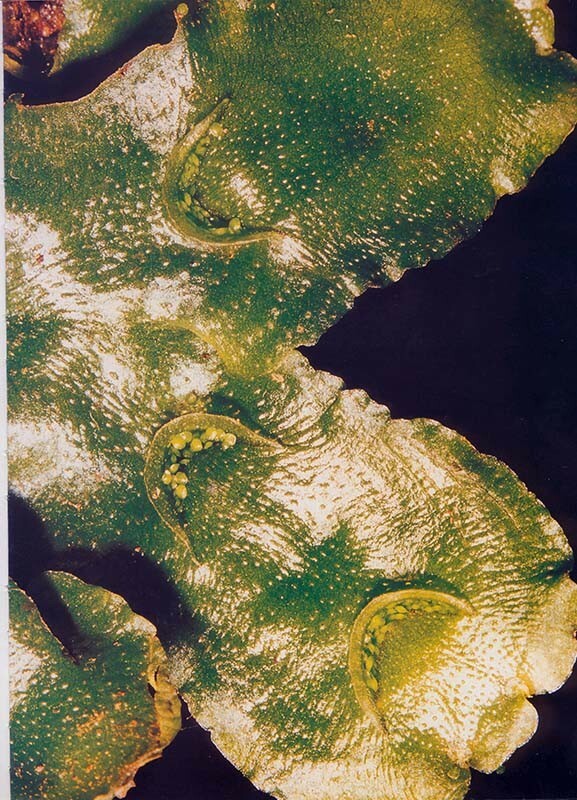 Lunularia cruciata - The epidermis is marked out into polygonal areas each with a central air pore. Disc-shaped gemmae are protected by a crescent-shaped ridge of tissue. Marchantia berteroana - This liverwort commonly has a rosette form, up to 12 cm in diameter. 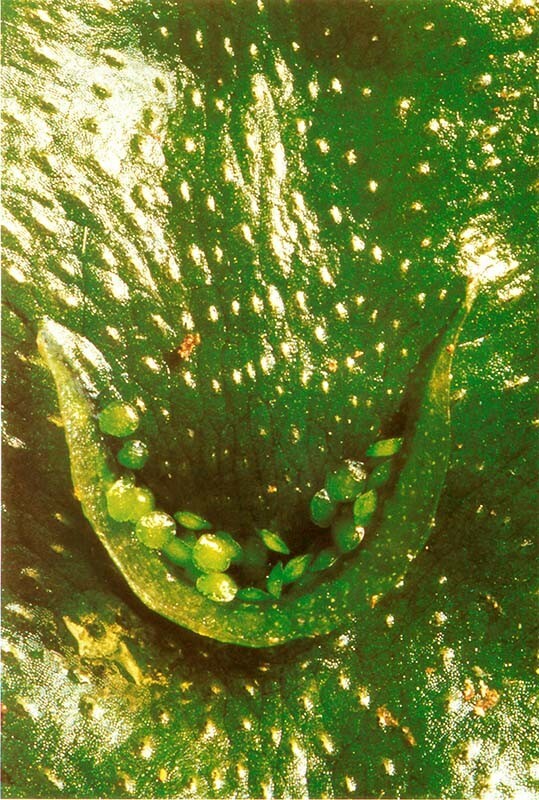 This plant is covered with numerous raised cup-shaped gemmae. This species is widespread throughout the country in damp areas. 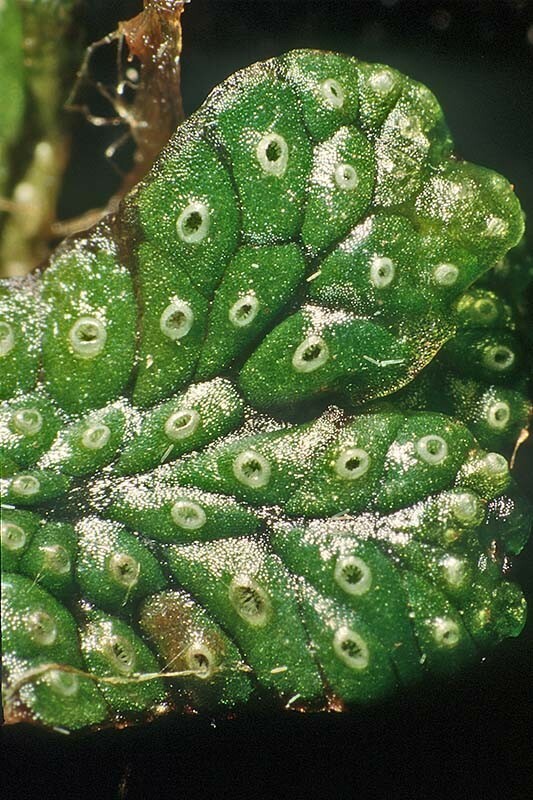 Marchantia macropora - A raised rim surrounds very large pores that lead into chambers containing photosynthetic cells. An uncommon liverwort occasionally found in moist areas throughout the North Island. 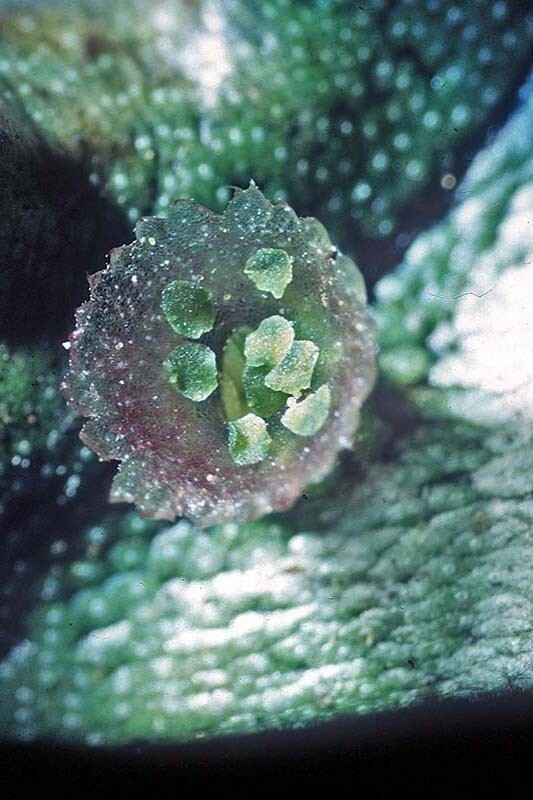 Marchantia berteroana - Seven gemmae are seen inside a 3-4 mm diameter cup with a toothed margin. Riccardia sp. 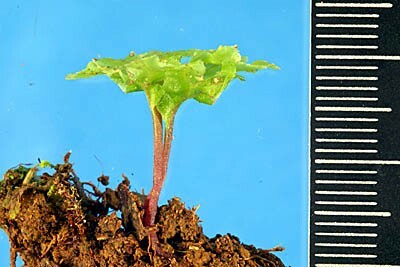 - The erect thallus is up to 3 cm tall and consists of a sturdy stalk with tapering peg-like branches. 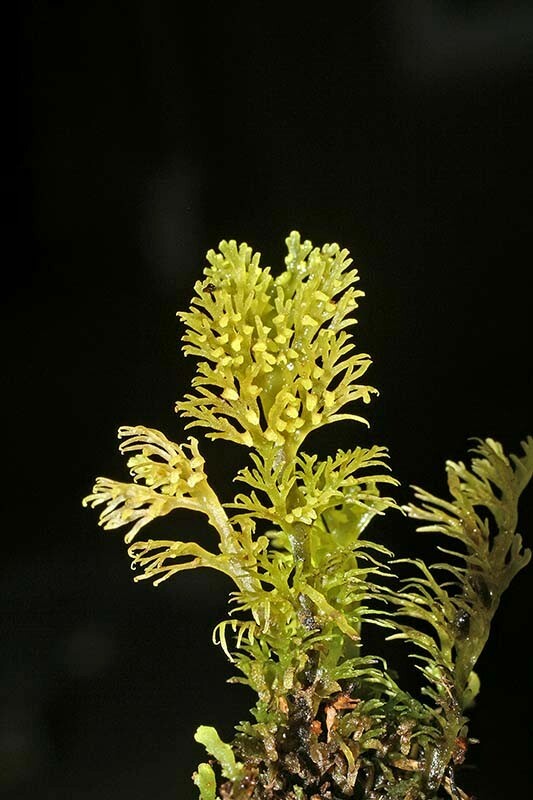 Widespread in moist forest and streamsides.